While I don't actually wear them that often, duochromes are such a pleasure to look at. Especially with those gorgeous curvy nails that manon has, it shows off the color shift so well! How adorable is this polish?! And there is more where that came from ;-). 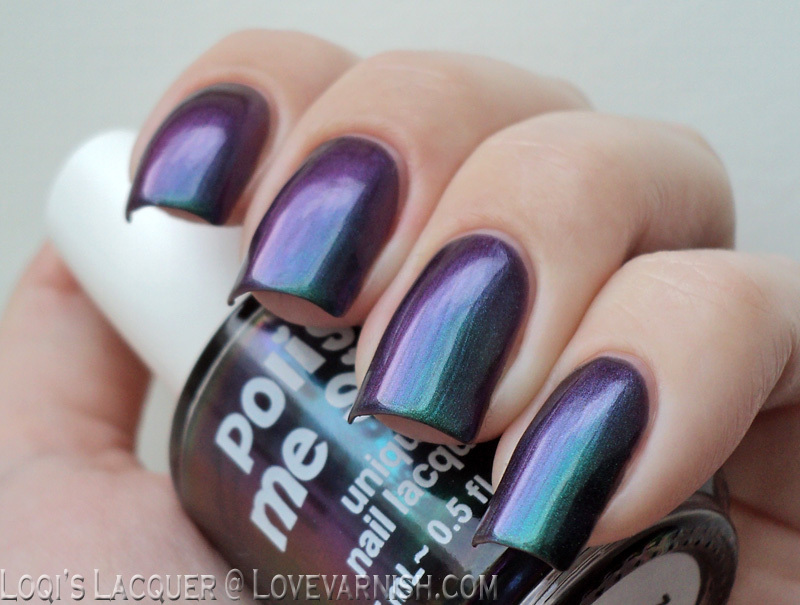 Check out my original post on 5 shades from Crazy Polish Lady to see more. 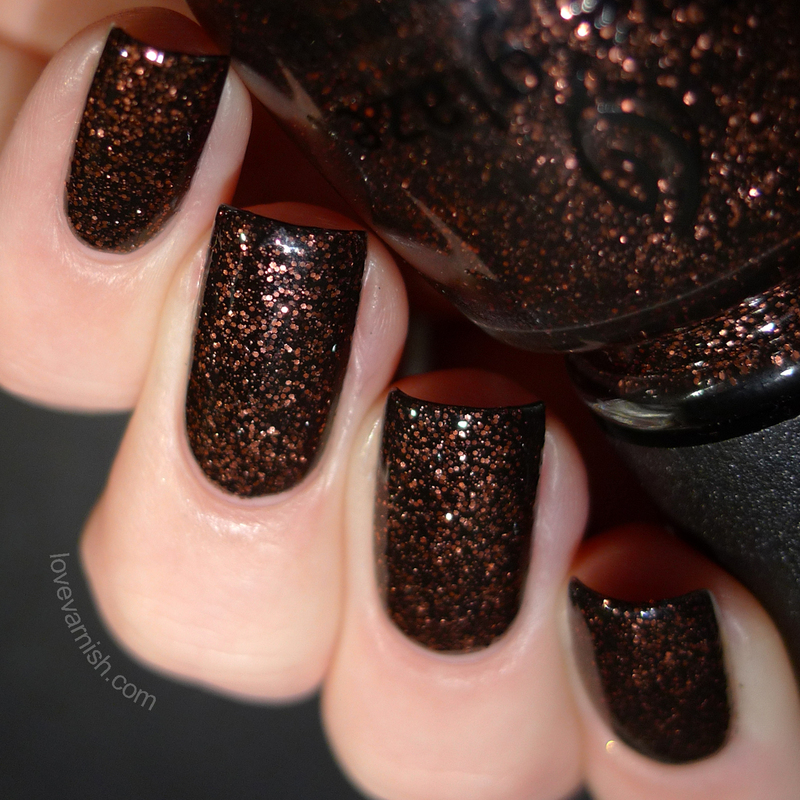 What I really love about these indie e-tailers is how they always have beautiful exclusive polishes. I was lucky enough to swatch this trio by Glam Polish last year :-). China Glaze always does such fun Halloween polishes and last years release was no exception! Look at this glittery goodness! Yeah, looking at this shade I feel like I really need to wear it again! There are 4 more beauties in the original post though so check them out as well!